Forty jurors will deliberate online but the final judging group in Cannes will comprise just 10 people rather than the usual 20. The PR Jury for Cannes Lions 2018 was unveiled this week and it’s an interesting group for jury president Stuart Smith to oversee. The global CEO of Ogilvy PR will preside over an expanded team of 40 jurors, twice as large as last year’s cohort, to decide which campaigns will be honored in the 2018 PR Lions, which form part of the newly configured Reach track. The full list of 40 jurors is outlined below. However, the 40 will not all be judging in Cannes. The first stage is being conducted online and a smaller group of 10 jury members will congregate in the South of France to make their final deliberations about the shortlists and winners. In previous years there were around 20 jurors physically judging in Cannes. The final 10 jurors include one client, Ishteyaque Amjad from the public affairs and communications team at Coca-Cola in India and South West Asia – an Ogilvy client – Lesley Sillaman, SVP of Havas PR; Matthias Ronge, chairman and creative strategist at Edelman Deportivo in Sweden; and Candace Kuss, director of social media at Hill+Knowlton Strategies UK. The in-person judging group is rounded out by Aden Ridgeway, partner at Cox Inall Ridgeway in Australia; Arnaud Pocheboone, GM of Weber Shandwick France; Tetsuji Hirose, executive officer at Dentsu in Japan; Patricia Bartuira, director of FleishmanHillard in Brazil; and Denise Kaufmann, partner, director of client development, North America for Ketchum. WPP is supplying six of the total 40 jurors – including Smith – Omnicom and Interpublic Group four each, Dentsu two, and Havas two. Publicis is supplying two jurors, despite the fact the French holding company is boycotting Cannes this year and – supposedly – not submitting any entries. There are six clients on the PR jury and 34 agency jurists. To be honest, I’ve never really understood why so few clients are on the Cannes juries – there were none last year. Maybe they can’t afford the significant investment in time locked in the judging bunkers that is required to participate in the process. But having clients in the room would definitely cut down on the agency politics that can ruin the judging process and also curtail the number of factions that develop around holding companies or geographical regions. From an individual agency point of view, Ogilvy is supplying three jurors on the long list, as is Weber; Hill+Knowlton Strategies, Ketchum, and Edelman are providing two each; and there is one representative from Fleishman, Burson-Marsteller, and MSL. Just as the work of PR firms is representing in Cannes Lions categories way beyond its core discipline, so there are also jurors on other tracks. Edelman has three other jurors in addition to Ronge and Cecile Nathan-Tilloy, MD, global client relationship, Edelman Intelligence in the PR Lions: Nils Rottsahl, head of Edelman.ergo Studios and executive producer of Edelman.ergo in Germany, who is judging in the Entertainment Lions; Rupen Desai, vice-chairman for Asia-Pacific, Middle East & Africa at Edelman APACMEA, who is on the Glass Lions jury; and Michelle Franzoia, executive creative director at Edelman US, who is judging the Social & Influencer Lions. Weber's president, Gail Heimann, is on the Titanium Lions jury. WE Communications has Shefali Srinivas, VP, health lead, Asia-Pacific on the Pharma Lions jury, in addition to Alan VanderMolen, president international, who is on the long PR jury. Orla Burke, partner, EMEA healthcare co-lead at FleishmanHillard, is on the Health & Wellness Lions jury – the Omnicom firm also has its Brazil director Patricia Bartuira on the PR Lions jury. 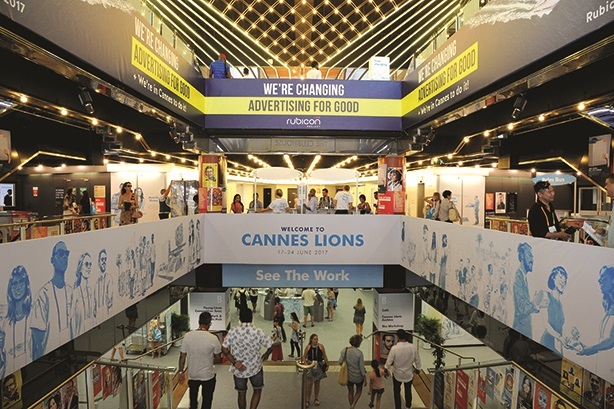 The Cannes Lions have been rejigged this year into new tracks based around Reach, Communication, Craft, Experience, Innovation, Impact, Good, Entertainment, and Health. Cannes has also changed the point-scoring allocation, putting much more emphasis on Gold Lions than Bronze and Silver Lions or shortlisted entries, so the stakes in that jury room will be higher than ever when it comes to awarding the top prizes. This is the 10th anniversary of the PR Lions at Cannes, and it is good to see the same criteria being used to judge PR as last year, after a lot of industry lobbying, with earned media squarely at the core of deliberations rather than advertising value equivalency. This year’s PR Lions will be handed out at Le Palais on Thursday night, rather than the usual Tuesday, and the shortlists will be published on Wednesday. While there will no doubt be plenty of the usual complaints about PR firms not doing well enough in the PR Lions and griping about the jury makeup and its decisions, the emphasis on earned media should serve to produce the best case studies and make the profession stronger. The Cannes Festival of Creativity is just over three weeks away – it’s almost time to let the games begin! * This article was updated on Tuesday, May 29 with further details of the PR and other juries.